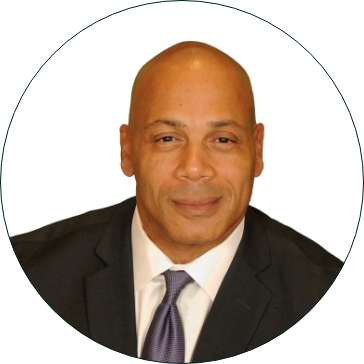 Mckinney has been an entrepreneur for over 28 year in the area of commercial and residential real estate sales, finance, construction and development. Mckinney has started and successfully ran several businesses. Mckinney and his lending team managed, originated and closed over 300 million dollars in residential, commercial and constructions mortgage loans. As a licensed mortgage broker and correspondent Broker NMLS #1459044, Daniel and his team became a decorated top producer and originator for companies such as Countrywide home loans and Franklin Bank. Daniel managed his own warehouse line of 2 million with Franklin Bank. From 2003 to 2007, Daniel formed Momentum Home Builders LLC where he managed and supervised Residential and commercial construction and sales. Daniel designed, constructed and sold several residential homes, as well as custom homes in Houston and surrounding areas. Mckinney currently invests in distressed commercial and residential properties to wholesale as well as fix and flip. Mckinney manages $2,000,000 in private funds from his list of private lenders. Those funds are used to purchase single family homes and small commercial to rehab and resale. Mckinney provides his private lenders 10%-20% return on their money. Mckinney also is a commercial private money broker. Through strategic partnerships Providing Bridge lending for commercial income producing properties starting at $2 million to $50 million. McKinney holds a Juris Doctorate degree in Law from Texas Southern University-Thurgood Marshall School of Law, and BS in Business Finance from Huston-Tillotson University. Former Executive board member of Houston Real Estate Association. Daniel has been a member of the National Association, Texas Association and Houston Association of Realtors for 27 years. DMAC combines an expert understanding of the real estate investment world with an unmatched dedication to consistently providing reliable and secure services. This allows the constant delivery of fast and fruitful results for investors and borrowers.